The story of how Pittsburgh’s streets and alleyways is steeped is filled with fascinating anecdotes, from rebellion to murder, and mystery. 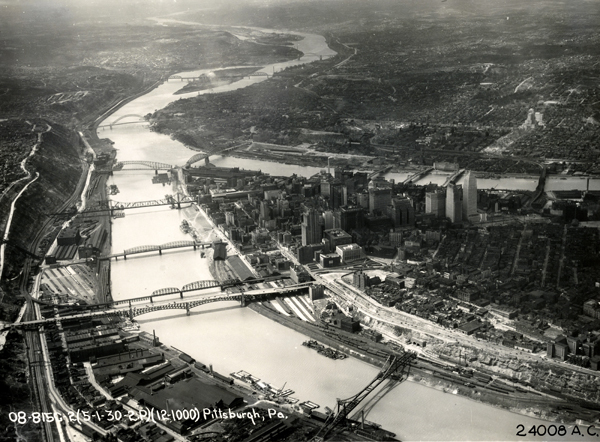 In this lecture, John Schalcosky takes a deep dive into the history of Pittsburgh’s streets, looking at how they came to be, how they were named, and how they evolved over time. About the presenter: John Schalcosky is the founder of the “Odd, Mysterious & Fascinating History of Pittsburgh”, a very popular Facebook Page that explores the most unusual, mysterious and forgotten tales of Western Pennsylvania. He is a frequent speaker at high schools, universities and at public events, and is often featured in stories and interviews on Pittsburgh history.